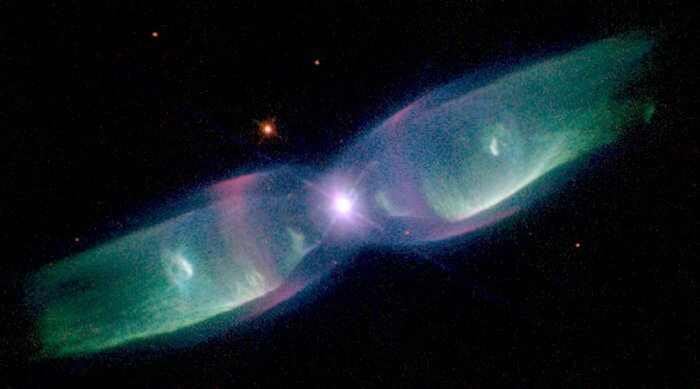 M2-9 is a striking example of a 'butterfly' or a bipolar planetary nebula. 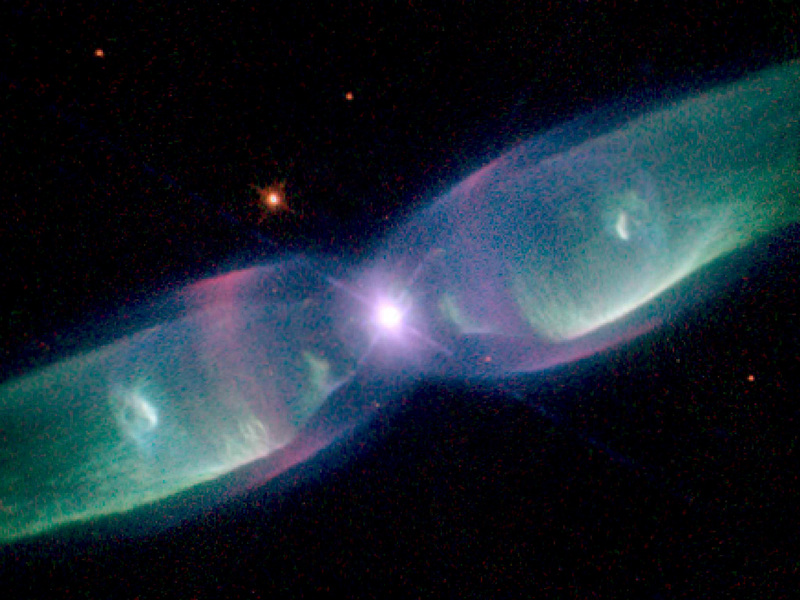 Another more revealing name might be the 'Twin Jet Nebula'. If the nebula is sliced across the star, each side of it appears much like a pair of exhausts from jet engines. 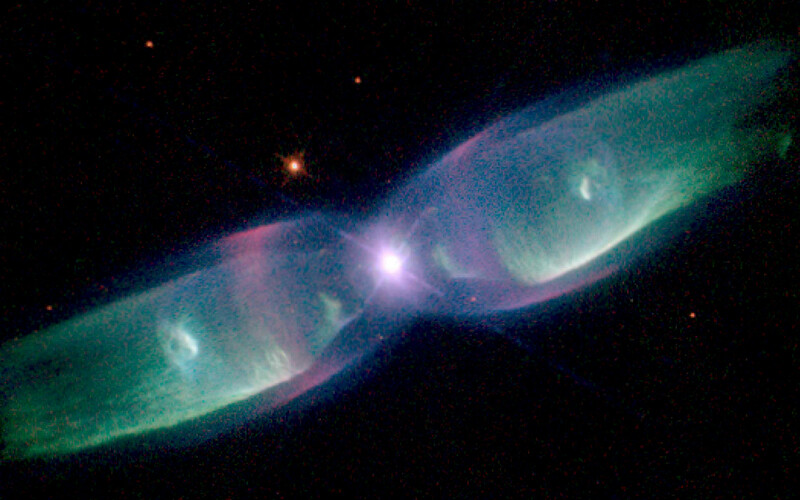 Indeed, because of the nebula's shape and the measured velocity of the gas, in excess of 200 miles per second (approx. 322 kilometres per second), astronomers believe that the description as a super-super-sonic jet exhaust is quite apt. Ground-based studies have shown that the nebula's size increases with time, suggesting that the stellar outburst that formed the lobes occurred just 1, 200 years ago. Position (Dec): -10° 8' 33.17"